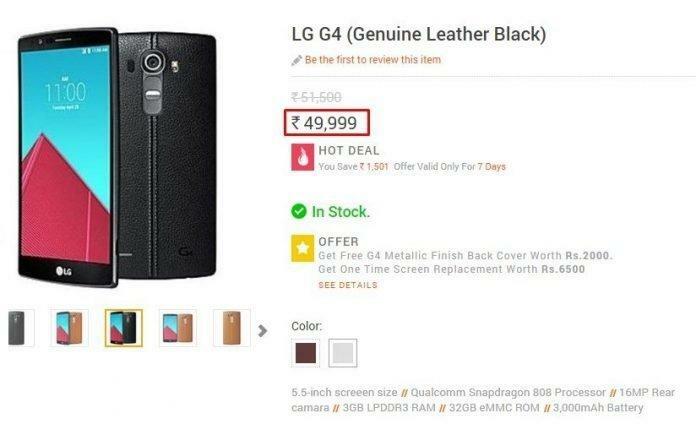 LG G4, the latest flagship from LG Electronics is up for sale in India on Infibeam e-commerce site. LG Electronics India is still planning for the official launch event to release this flagship into the Indian market but for every one’s surprise this mobile goes on sale today in Infibeam. Meanwhile in the official LG Electronics India site, the flagship is up for pre-order. 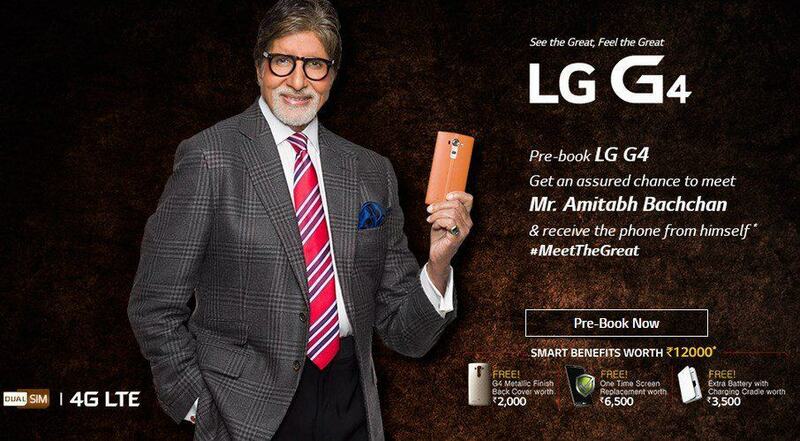 There is a contest running on pre-booking, one winner will be chosen to meet the Bollwood legend- Mr. Amitabh Bachan and receive the LG G4 from his hands. Other smart benefits worth 12,000 rs is also included. Coming to the sale in Infibeam, LG G4 ( Genuine Black Leather) is priced at Rs. 51,500 which is reduced to Rs. 49,999 ( limited time offer for 7 days). By using the coupon code- “STRIKEOFF3000” an additional Rs.3,000 will be reduced on the actual price. In addition to this, a metallic finish back cover worth Rs. 2000 & a one time screen replacement worth Rs. 6,500 get it for free with the LG G4. As per the source Infibeam, the leather back cover comes with orange and black by default and here are the key specifications of LG G4. Powered with Qualcomm Snapdragon 808 Processor. Still the official launch date for India is not yet confirmed by the officials, but the price it is selling for is to high comparing to its rivals- Galaxy S6, Galaxy S6 Edge, iPhone 6 Plus, Z3+ etc. We’ll update the info on the official launch soon.